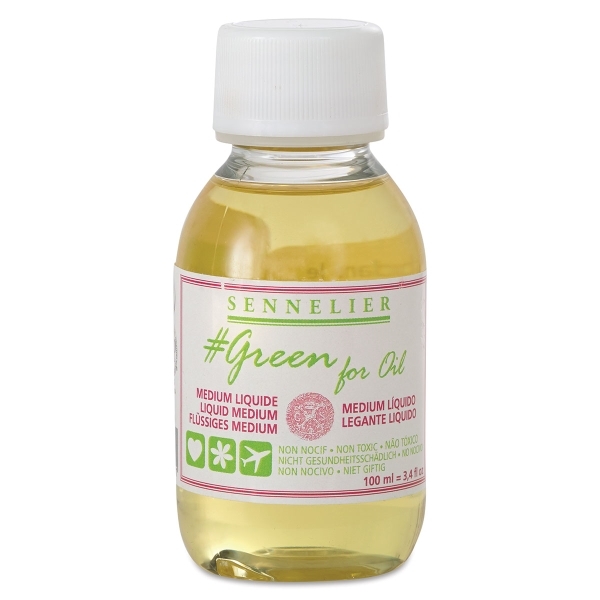 Sennelier Green for Oil Mediums are a safer, eco-friendly alternative to traditional mediums and solvents. Made from renewable raw materials, these bio-solvents are 100% safe and just as effective as typical mediums. Great when working wet, this medium improves consistency and works well for creating glazes and impasto effects. This medium also speeds up drying times and gives paintings a glossy finish.